This study is happening thanks to the partnership between SCDNR, the University of Georgia Savannah River Ecology Laboratory, The Longleaf Alliance, the National Fish and Wildlife Foundation, the U.S. Fish & Wildlife Service, and Riverbanks Zoo and Garden. On Sept. 26, the S.C. Department of Natural Resources, along with the University of Georgia Savannah River Ecology Laboratory, The Longleaf Alliance, the National Fish and Wildlife Foundation, the U.S. 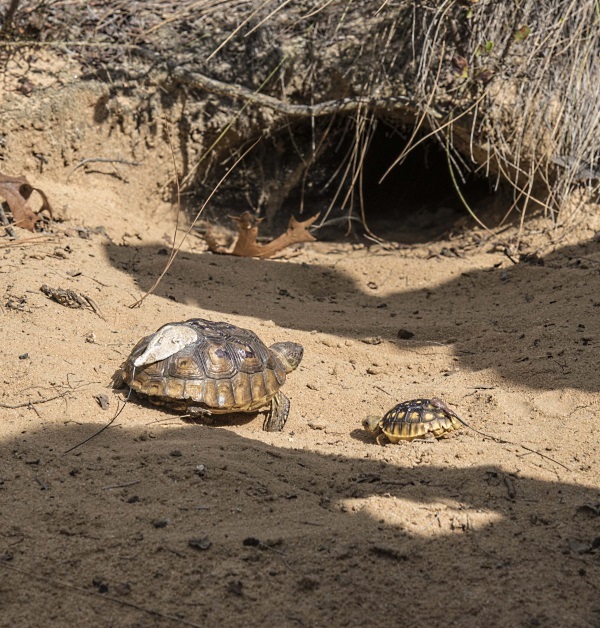 Fish & Wildlife Service, and Riverbanks Zoo & Garden, released 30 gopher tortoises at the Aiken Gopher Tortoise Heritage Preserve as part of joint efforts to establish a viable population of gopher tortoises. 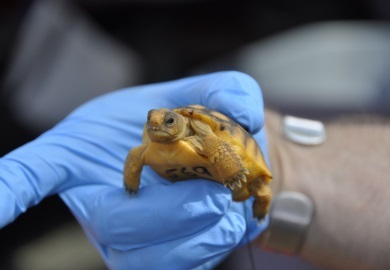 The tortoises, which hatched at SREL and were then turned over to the zoo for rearing, will serve as subjects in a study to evaluate captive head-starting of juvenile tortoises as a conservation tool at Aiken GTHP in order to bolster the population. 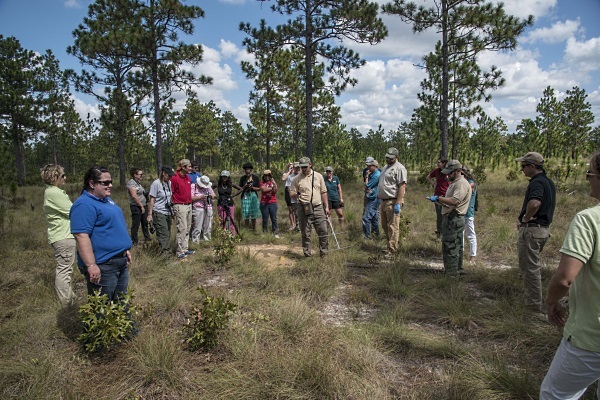 SCDNR and SREL's long-term collaboration to establish a gopher tortoise population at the preserve began following longleaf pine savanna habitat restoration. Restoration at the site included use of frequent prescribed fire and resulted in suitable habitat for tortoises. This collaborative effort will help to establish a viable population at the preserve. "At some point, given the loss of habitats and declines in wildlife abundance due to human impacts, it may no longer be effective to simply protect and conserve what we have left," SREL Senior Research Associate Kurt Buhlmann, Ph.D., stated. "Rather, we will need to take proactive steps to recover species by reestablishing additional populations on our landscape. This project is an experiment and hopefully an actual conservation success." USFWS has provided significant funding for activities to restore gopher tortoises at the preserve since the beginning of the project, and NFWF's recent grant award to the Longleaf Alliance, made through its Forestland Stewards partnership with International Paper, will help to increase SREL's capacity to provide head-started tortoises for release into the wild. American Forests also recently provided funding to support this project. This growing group of agencies is working together to conserve the imperiled species in South Carolina. 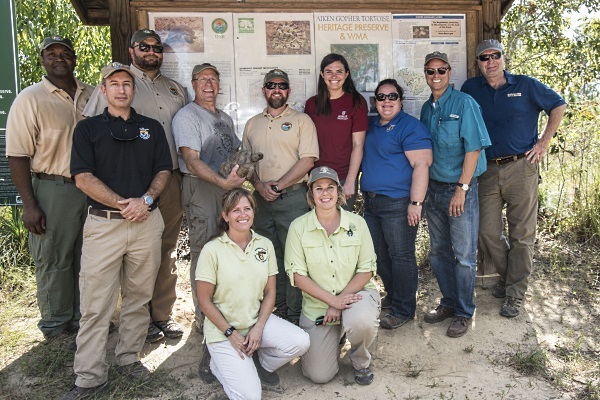 "We're excited about the project collaboration between a multitude of partners that are dedicated to the conservation of gopher tortoises in South Carolina and at this preserve," SCDNR Herpetologist Will Dillman said. "The success of this project is based on partnerships between all agencies."